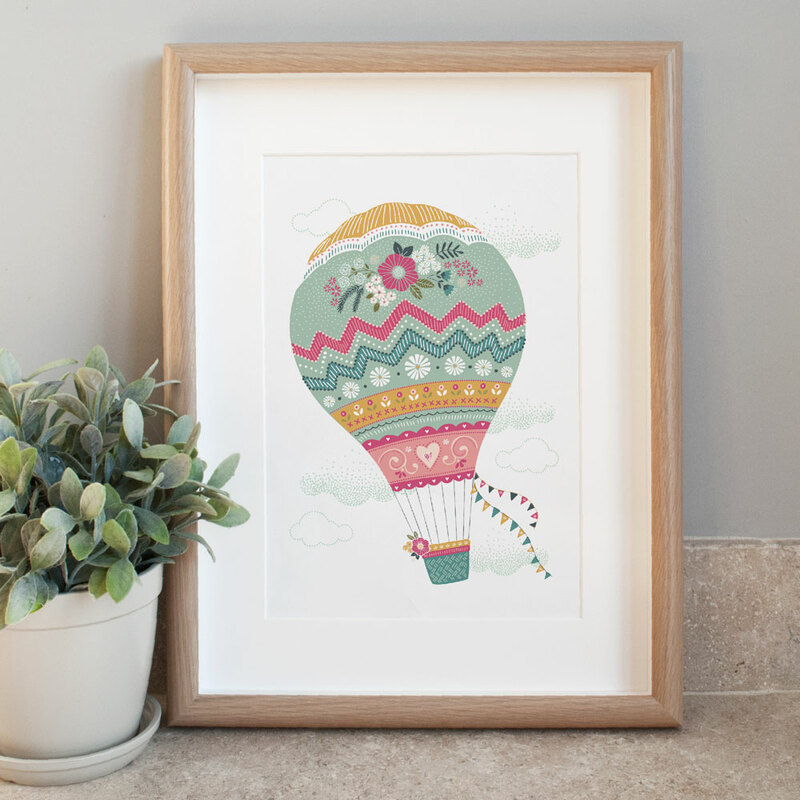 A beautiful, hand illustrated hot air balloon featuring pretty patterns and flowers in a soft pastel palette. 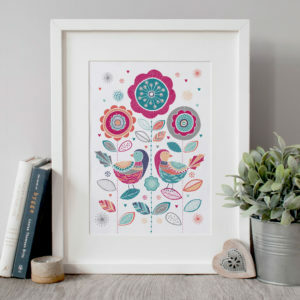 Originally hand drawn in black ink on paper, scanned in and digitally coloured up on the computer. 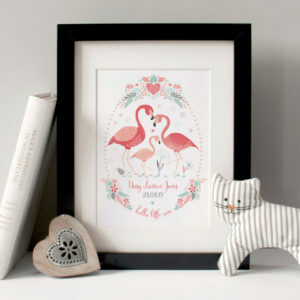 It’s soft colour palette and cute illustrative style would make a lovely gift for bedroom or nursery.